The southern Andalucian city of Malaga offers a combination of everything you are looking for in a fabulous holiday. 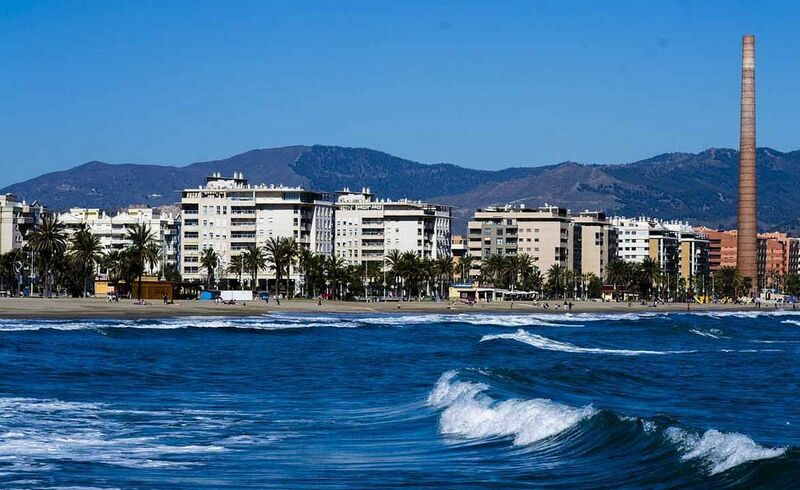 Besides its great amount of monuments, museums, culture and gastronomy, there are also the beaches of Malaga that can offer you the possibility to stretch out in the sun or take long walks on the beach. The beaches of Malaga are all easily accessible from the centre of the city. In fact, there are 14 kilometres of beaches in the city, which all are equipped with all types of high-quality services. This is the most famous of the beaches of Malaga, located less than 10 minutes walk from the city centre. It can be accessed via the Pablo Picasso promenade whose bars and restaurants are visited day and night. It offers a view on the fishing area where you can watch fishermen making their catch. There are also a numerous Chiringuitos (Spanish Beach Restaurants) offering a selection of fish and tapas. Facilities include: disabled access, warning advice, hiring sunbeds and parasols, parking, public telephone, showers, toilets and a children’s play area. The playas de La Misericordia stretch all the way from the Huelin neighbourhood to the city´s port, in the western part of the city. Here you can find joggers as well as volleyball players and sun worshipers. The beach offers a great opportunity to relax on the beach or just take a stroll. It has recently been rejuvenated and its promenade is very popular among families and visitors. This beach is located east of the centre in the district Pedregalejo, which was once a fishing village. Nowadays there are still fishermen here but it is more known for the stylish bars and delicious fish restaurants which are spread along the beach. The beach itself is a bit quieter than La Malagueta and is visited by Spanish families as well as foreign tourists. El Palo is another district right next to Pedregalejo on the eastern end of Malaga. It is a very family friendly beach and invites you to try locally sourced fresh fish in one of the many traditional Fish restaurants. This beach can be highly recommended to visitors who would like to experience a typical Spanish district and avoid the busier city beaches. *You can take the Bus number 3 or 11 to both Pedregalejo and El Palo, which only take about 15 minutes from the city centre. This beach sits right under the Airport flight path and is close to the golf course of the Parador Malaga Golf Hotel. It is also situated close to the Guadalmar Urbanization. This is the place to go if you are interested in going to a nudist beach, as this is the only one that Malaga has to offer. Facilities include: showers, off road parking and a beach bar.